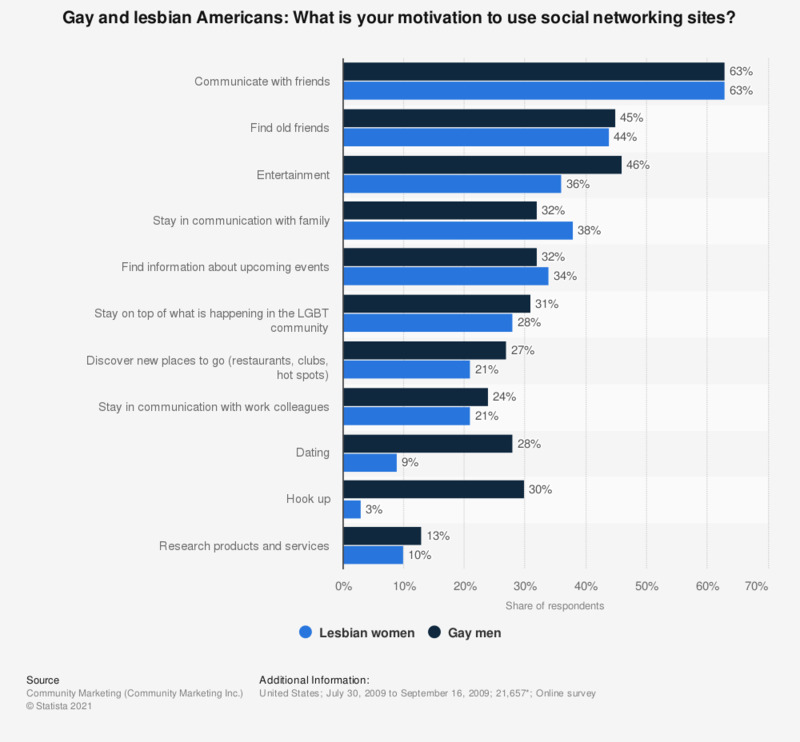 This statistic shows the results of a survey among gay men and lesbian women in the United States regarding their motivation to use social network sites. The survey was conducted in 2009. 63 percent of the lesbian women and 63 percent of the gay men reported to use social network sites in order to communicate with friends. According to the source, "[d]uring the 49-day period from July 30, 2009 to September 16, 2009, Community Marketing, Inc. conducted an online survey of self-identified gay men and lesbians from CMI’s proprietary survey panel, as well as participants pointed to the survey from a variety of partners. For the purposes of this report, those participants who self-identified as “queer,” “transgender” or “bisexual” were not included in the analyses unless they also identified as lesbian or gay." How did you feel when you heard about the federal court ruling that California's Proposition 8 is unconstitutional? Do you think the Boy Scouts of America should allow openly gay members?